What Ethnicity is God? Can God have a Gender? 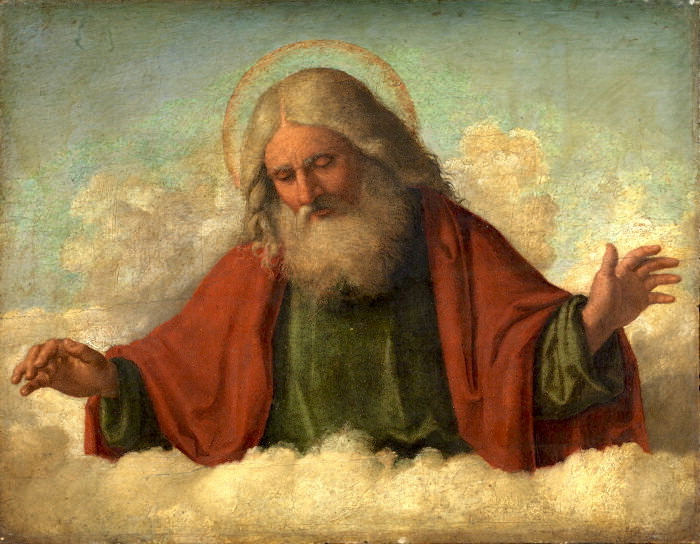 This week, a student asked me the question (via Quora) ‘What ethnicity is God?’ This is definitely a question to be answered in terms of religious language – how can we describe God? God is ethnicity-less. That is because God is not a human, God is external (outside of our space) and extemporal (outside our time frame). God is not human and therefore does not have ethnicity. A the end of the film Dogma, Alanis Morissette plays a female and white God. However, God is also gender-less or without gender. God is neither male or female because God is not in human form. So Christian doctrine focuses on ‘God the Father’ implying maleness of God. Why is this? According to Christian doctrine of the trinity, the Father, the Son and the Holy Spirit are all aspects of God. God was the Father of Jesus because he provided the power for Mary to be impregnated as the ‘Virgin mother’. So Mary was the mother, not God! However, many feminist theologians have reformulated patriarchal ideas of God into God as a nurturing mother. Although I disagree that qualities such as ‘maleness’, ‘femaleness’ or ‘blackness’ are inadequate to describe God, what I do accept is that God can be perceived in any way by a believer if it brings that person closer to him, or her, or, in fact it! If someone can relate better to their concept of a ‘black God’ rather than a ‘white God’, then who are we to criticise. Surely someones perception of God is individual? Faith is a very personal thing, after all. Of course, it could be stated that ‘Male’ and ‘female’ or ‘back and ‘white’ are used here as polar opposites, ands that there are different shades in between. It can also be argued that both gender and race are constructs of the human mind, but that’s a whole other blog! What is the difference between Personification and Anthropomorphism? To apply characteristics to a deity is known as anthropomorphism. Anthropomorphism is to apply human characteristics to a deity (God), whereas personification can be applying human qualities to something else such as an animal. An example of personification is saying ‘That Dog is loyal’ and an example of an anthropomorphism would be ‘God is male’. Hachiko, the world’s most loyal dog! Therefore to ask the question ‘What ethnicity is God?’ is invalid, as God has no ethnicity whatsoever. What do you say about God having ethnicity or gender?